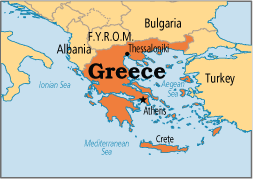 Greece is the country that brought us gyros, the movie 300 and oh yeah Greek gods and all of that historical stuff. Obviously there is so much more than that to Greece, but gyros and 300 are two of my favorite of their contributions. Greece is a largely Christian country where almost 98% of the country belong to the Greek Orthodox Church, but only about 2% of them regularly attend services. Only about .4% are what we call evangelical Christians. Recently there has been a call to re-evangelize Greeks from within the Orthodox churches. A new movement of Orthodox and Evangelical churches to work together to reach their country. The youth of Greece to continue with their reception of the Gospel. 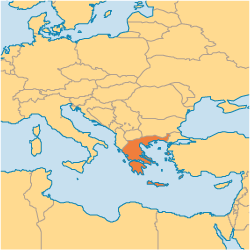 More missionaries to feel a calling to Greece, a country with surprisingly few missionaries.